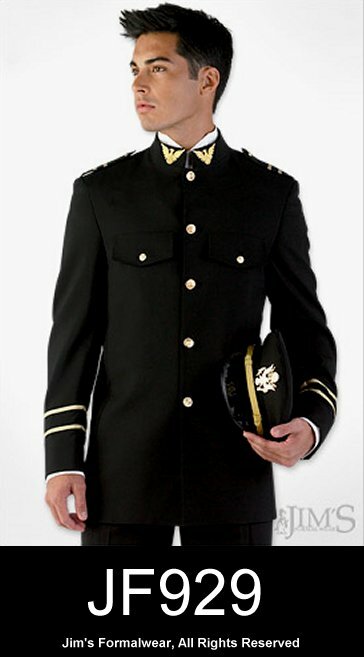 A five button coat with gold eagle collar embroidery, gold metal buttons and flap pockets on the chest. Finishing touches include gold shoulder epaulettes and gold lurex sleeve stripes. Military hat is fully lined with a gold eagle medallion and gold braid trim. Military hat is included with the ensemble.